Clothing doesn’t have to be just a necessity; it can also be a statement. Those who enjoy the outdoors and various activities can look stylish while being comfortable. Stylish long sleeve performance shirts are available nearly everywhere. There are many reasons why a person would want to wear one. You cannot step foot in a big box store, athletic clothing and supply store or even shopping mall without seeing the onslaught of long sleeved shirts. Many online stores are also specific to active wear and accessories. There are t-shirt shops both online and in store front locations that also can customize shirts. You can purchase your favorite brand of long or short sleeved shirt and then have the words or graphic of your choice (pending trademark restrictions) transferred onto your shirt. This is a great way to customize a shirt for a family reunion, work event or sporting team. Long sleeve performance shirts are typically made of cotton, but some are designed with moisture wicking material. These shirts can be layered under jackets, hoodies or other types of shirts to provide added warmth. 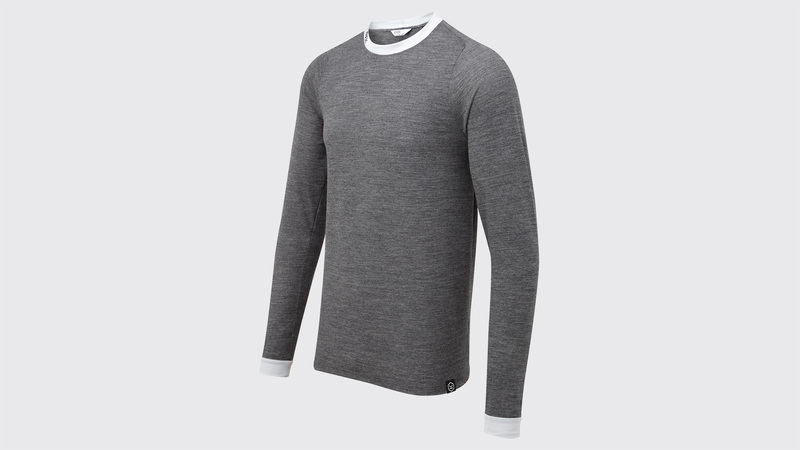 The long sleeves are typically light weight and can be pushed or rolled up on the arm. Some great sporting and recreational uses for this type of wear would include hunting, fishing, running, soccer, volleyball and even bike riding. The long sleeves can provide warmth when the weather cools off, but they also are light weight enough to not be a discomfort when you are using them to block out some of the sun’s harmful ultra violet rays. If you are ordering your long sleeved performance shirt online be sure to inquire on a few key aspects of the clothing prior to purchase. When you purchase in store you have the added bonus of inspecting the fabric first hand. Online you have to rely on other consumers comments, so you know exactly how thick and stretchy the fabric is. Some cotton is preshrunk while other cotton is not. It is important to also have a thorough understanding of the size chart. You may be a medium for one brand but a large for another. Long sleeve shirt measurements should include the length of the arms as well as the body of the shirt. Prior to completing an online purchase be sure to make yourself familiar with the return policy. We always try to avoid returns and get the order correct on the first try, but try as you might, sometimes the sizing is off, or the quantity is not accurate. It is always best to go over your order with a trained customer service representative prior to purchase, this will help ensure that you are placing your order correctly. Long sleeved performance shirts are extremely comfortable and versatile. Basic colors can be used for a night out or an afternoon hiking the trails. Logo bearing shirts can proudly display your favorite company or sporting team while providing you with comfort and style. No matter what type of performance shirt you decide upon you will love the flexibility of incorporating it into your wardrobe. You Are What You Wear…Or Are You? Every day you wake up, shower, and prepare for your day. You make your way to the kitchen for that fresh cup of coffee and some breakfast. Working in a corporate environment such as Apple or IBM would probably require business attire such as a suit or a dress. Finally, it’s time to get dressed, If you are not lucky enough to have a uniformed job you go to your closet and start coordinating your outfit for the day. You know how to make a fashion statement like no other You are up with all the hottest trends right down to the cuffs on your jacket. Being fashionable can be time consuming. From going to specialty boutiques to online shopping it could almost be considered a part-time job. When clothes shopping keep in mind that you can always get a garment tailored to your needs. Shorten the length of a pant-leg or skirt. Right down to the smallest detail, for example, customize your wristband if it fits too tight or loose. You won’t mind spending the money for alterations if any particular piece is considered one of your staples. Not only are you shopping for apparel, you are also shopping for that perfect accessory. The right necklace, earrings, bracelet, belt and even shoes. After you stock up on your basic pieces you start putting together the “look”. You buy your basic pieces that work with each other and are a mix-and-match wardrobe. By mixing your pieces you can shop for accessories that work with each outfit. Most times a single piece of jewelry can change the look of several different outfits. The combinations are endless. So when you start putting together your look for a day don’t be afraid to mix it up. If you bought the basic black pant or black pencil skirt you could pick any color blouse and matching shoes. You can actually get hundreds of outfits from just the 10 staples you bought as a wardrobe foundation. You don’t have to buy all black or navy. Mix it up. Maybe a beige skirt with a beautiful red sweater. Bring it up level and maybe add some patterns or colors. You can actually buy decorative collars to enhance a sweater. You can layer a blouse and a sweater with a cute skirt . Add a pair of leggings, some cool boots and top it all off with a cute fedora. You should also buy some inexpensive jewelry and if you’re a bit crafty add some sparkles or embellishments. How about changing the look of a plain pair of shoes by simply adding some sparkly brooches. They don’t have to be identical, that’s how you get the couture look. Everyone wants to be fashionable. It just takes a little homework to get your closet ready with your basics. Look at what you already have and add to it. It’s really fun to make something out of nothing. Don’t be afraid to be yourself. You are only limited by your imagination.